Noise canceling headphones use serious technology to eliminate the noise coming to your ears for clear audio even at low volumes. 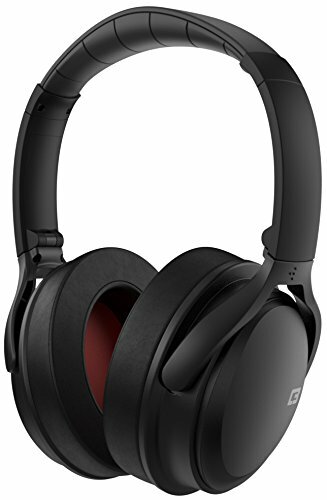 Whether you want headphones for air travel or you work in a busy office, you will find a model that works right for you. 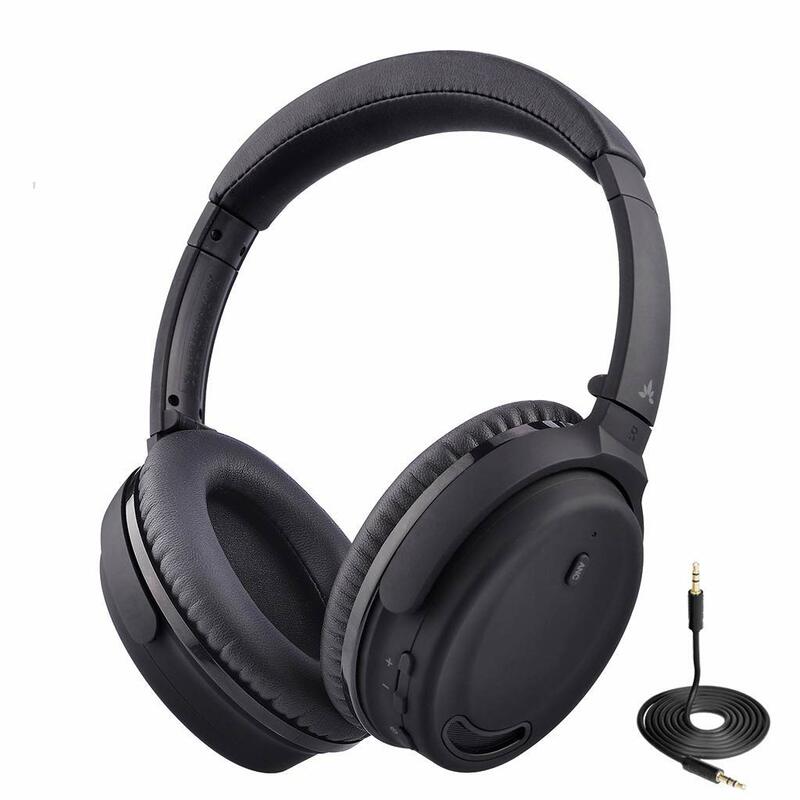 These type of headphones have an inbuilt microphone that produces a signal that cancels out sound from the outside using digital signal processing (DSP) technology. They offer active sound canceling for ambient noise like that of someone having a conversation next to you. But they can do little if someone yells in your ears or if a car hoots too close to you. You may also opt for sound isolating headphones. These designs prevent noise from reaching the ears by sealing the ear canal using ample padding. Your headphones have batteries that keep the circuitry running. You will need to consider their running time according to their use. For example, if you have a pair that offers up to 20 hours, it means you will need to recharge them every three days if you only use them during office hours. But for a college student, it might be every day since you will be using them during most hours of the day. A wireless pair of headphones comes with distinct advantages. They give you extra freedom since you won’t be dealing with any wires. Tangled cords get in the way or get caught around luggage handles and doorknobs. To determine quality, you will have to try them on before deciding if they are for you. Some headphones have good noise canceling on paper, but once you use them, you can make out a conversation in the next cubicle. Reading reviews will also tell the quality of a product as you will be getting first-hand information from the users. How do they fit? You can choose over the ear headphones that seal the ear entirely to keep out noise or a minimalistic pair that has small ear cups. If you would like to be aware of your surroundings when outdoors and then isolate sound entirely in the office, why not get headphones that can do it all? With adjustable noise canceling, you can tune in the amount of ambient noise that you want to hear. Why we like it: These headphones are both stylish and of premium quality. They have a DJ vibe that is desirable for music and video listening without keeping up with noise. You can be quick to dismiss the BÖHM B66, based on the price tag until you examine them. This pair works to reduce low-frequency sound that is distracting and annoying. 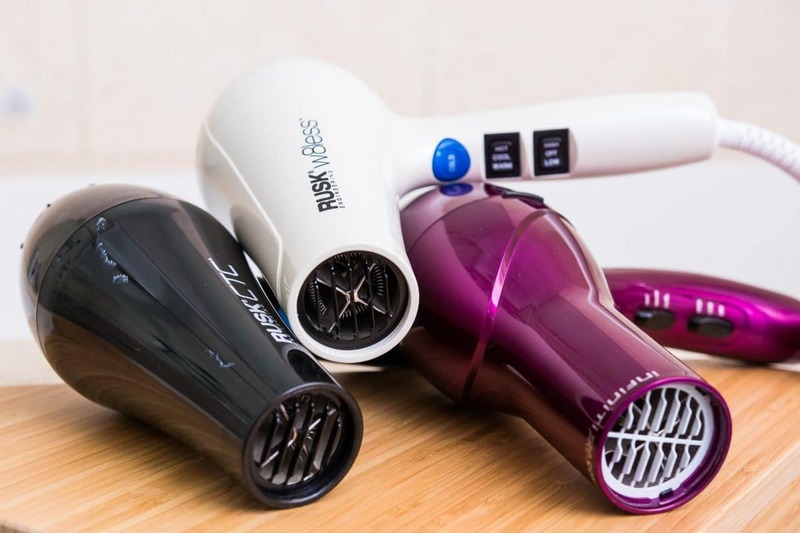 They are compatible with a wide array of devices thanks to the use of Bluetooth 4.0 technology to connect to all your favorite devices. You can listen for hours on end as this headset has an impressive battery life. The rechargeable lithium-ion battery gives up to 16hours of music playback when ANC is turned on or 18 hours of talk time after three hours of charging. BÖHM B66 provides refined sound that throws a punch when it comes to the bass. The highs are surprisingly clear as well as the mids, but the lows struggle a little bit. They also use 40mm drivers that provide a wide frequency range to get you listening to excellent audio. With an aluminum housing coupled with some specs of zinc alloy metal, these headphones will last in good condition for a long time. You will like the flexibility of the headband and how soft the ear cups feel owing to the faux leather material. When you need to be on call for long hours, you don’t need to keep holding your phone when you can have comfortable headphones. They are also ideal for DJs as they provide a luxurious feel so that you can wear them the whole night while you entertain your crowd. 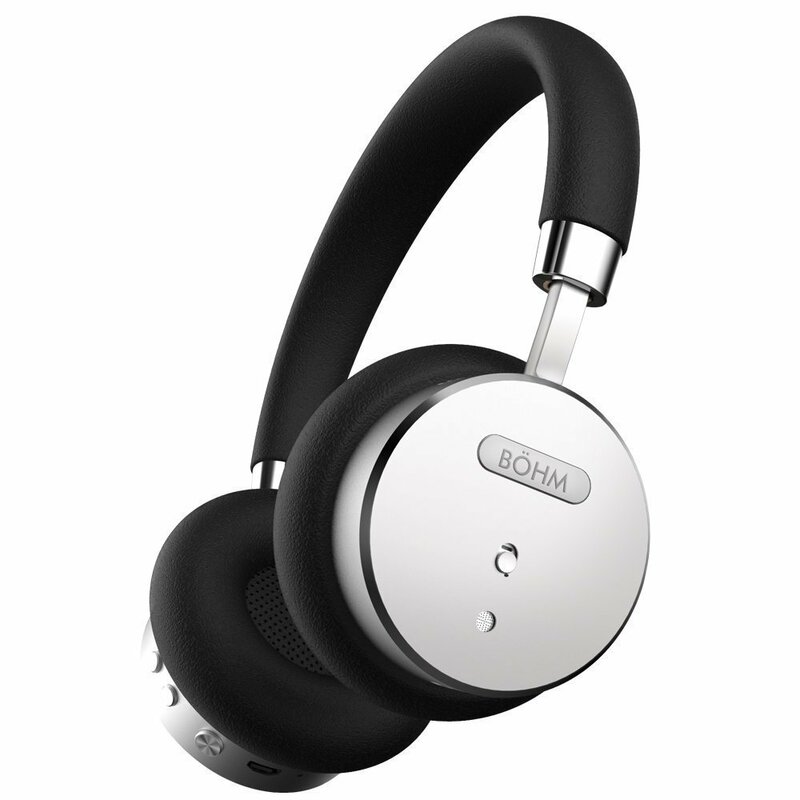 BÖHM B66 headphones exceed our expectations thanks to their outstanding noise canceling and the comfort they bring. They will work seamlessly with iPhones and Android devices as well as tablets, laptops and a host of other peripherals. You can be sure to love the powerful sound of the BÖHM B66 brand. Why we like it: Apart from active noise canceling technology, this pair has excellent sound and rich bass to help, you listen to audio with style. CB3 HUSH balances sound quality, durability, and tech specs to give you more than you will ever pay for a good pair of headphones. With the help of Active Noise Cancelling technology, you need to press the ANC button to begin experiencing booming music without distractions from people around you or the humming of engines. This model claims to reduce noise levels by up to 30dB. It is not a high-end product so do not expect complete silence from the rest of the world. But on the brighter side, you can to use them in the outdoors since you will pick up important sound like that of an oncoming car. With a battery that runs for 10 hours, it is a good pick if you need headphones for your day job, and you don’t mind charging them every other day. These headphones use Bluetooth technology to connect to your device. They can pair with two devices such that you can switch from a smartphone for music to listening to podcasts on your tablet. You will like that this pair has invested in 40mm drivers that create sound over a wide frequency range. You can expect pleasant music that is more on the warm side since the highs are subdued at the highest volume. They are not the best for audiophiles seeking to find neutral sound and listen to every vocal, but they are pretty good for movies because of the bass effect. When it comes to the construction of these headphones, CB3 HUSH has paid attention to the way they feel against your ears. They have faux leather which is soft. It will not feel warm or sticky after listening for long hours. Not to mention the metal headband is flexible, and the headphones can swivel such that it will be easy to store in the carrying case. CB3 HUSH may not be Bose in so many ways, but the brand gets it right in the main areas when looking for noise canceling and excellent sound quality. With these headphones, you will need to take great care of the materials that make them to lengthen their durability. Otherwise, you have decent headphones for travel or work. Why we like it: These headphones are a good value for the money. 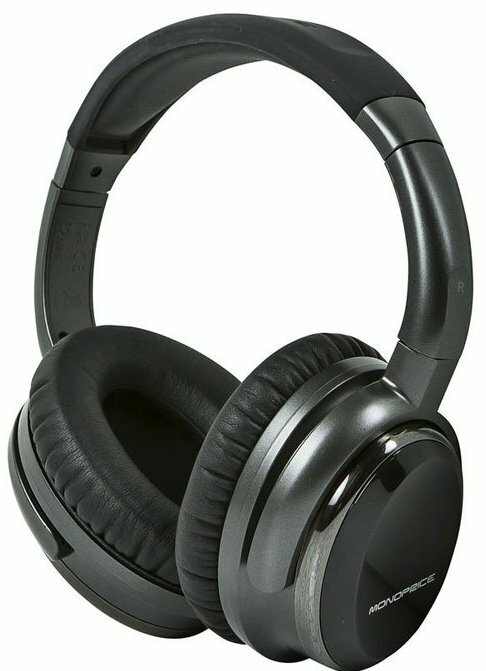 They offer active sound canceling technology and decent sound quality. Audio Technica is a legend in the world of headphones. The AUD ATH-ANC7B is an old design with nearly ten years in the market and still going strong. The beauty of being old is that they have become cheaper as more high-end designs enter the scene. These headphones explore both active and passive noise canceling. The ANC circuitry provides up to 15dB sound reduction which works excellent in airplanes and around busy offices. You can sit on long flights and never have to listen to kids crying or conversations. The sound of this Audio Technica headset is above average as it exhibits more natural tone that is smoothly accompanied by detailed mids and impactful bass that results in immersive sound. It uses 40mm drivers with neodymium magnets that give you the sound you need. Audio Technica is quite an impressive headset as it uses luxurious leather and ample ear padding that is supple and soft to the ears. They have an impact-resistant black plastic that protects them from damage. With the comfortable pads, it manages to balance the weight and size so that you won’t notice you have them on after long hours. The foldable design makes them ideal for travel as they will fit in a hard case for safe storage. You will like that these headphones do not need any external modules and the cable is removable to make the headset as compact as possible. Audio Technica AUD ATH-ANC7B is a solid pick for quality headphones that won’t break the bank. From their reproduction of sound to the noise isolating, you can count on them in professional and casual environments the same. And when the batteries die, you can always use the perfect seal around your ears for continuous sound isolation. Why we like it: They come at a third of the price of competing headphones but with dominating sound canceling and excellent bass. 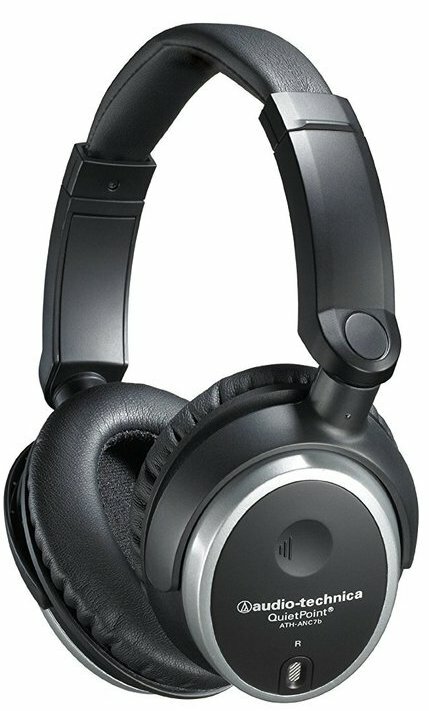 With a proven track record, Monoprice PID 10010 Hi-Fi is a model to watch in the best budget headphones with active noise canceling technology. If you want to concentrate, listen to podcasts and focus on an important task, you will need headphones that shut out the most noise. This particular brand gives you precisely that by being able to reduce up to 22dB active and 35dB passive noise. It is fun to listen with these headphones as they create sound deliberately to capture every genre in its best light. From the lows to the mids and balanced highs, you can tell Monoprice has done a good job on this model. These headphones come with a 3.5mm audio cable and an airplane adapter. Now you don’t have to contend with the cheaply made earbuds that you get on flights. They plug in directly to any device with a 3.5mm jack, so it is basically almost any gadget that you have your audio uploaded. Monoprice PID1010 sticks to simplicity. The headset has a shiny plastic finish that is prone to leaving fingerprints. If you are keen on details and smudges are a no-no for you, then you will want to look for a more elegant pair. But when it comes to durability, these headphones use a metal frame and rubber on the headband. It remains relatively flexible for adjusting to your head. The fit of these headphones suggests they are great for casual use like in an office or travel but not in a gym setting. They are prone to falling off, and the cable will get caught around stuff like equipment. Monoprice PID 10010 Hi-Fi makes a good case for balancing affordability and features. They may not provide 100% sound isolation or last a lifetime, but for the time you will have them, they will prove practical and functional. Why we like it: These headphones are ultralight for wearing all day, and they come with a customizable fit for additional comfort. Ranking as the most comfortable pair, Avantree is a sure pick for ANC technology that works on a budget. These headphones will cut out most types of noise from engines to motors, air conditioning, co-workers talking loudly, and many others. You find peace of mind when you want to get some work done. Although they do an excellent job at draining noise, these headphones cannot keep out sudden noises. As such, you will hear some sounds and noises as it rates at 18dB noise ANC. This headset connects via Bluetooth 4.0, and it supports NFC technology. When you want a stable connection over long distances, Bluetooth is the way to go. But for short distances, each of your NFC compatible devices is in luck because it connects fast and there will not be any lost connections. Looking at the battery life, this brand also gives you 10hours of running time when using it in the ANC and Bluetooth mode. In the Bluetooth mode only, you can listen to your favorites for up to 18 hours. 40mm drivers power the sound of this headset. It is a typical warm headphone with more bass and clear mids with somehow flat highs. If you love listening to rock and funky music that you can dance to, then this pair will sound great in your ears. It’s quite evident that these headphones are polished. They are build using a metal alloy that is covered with rigid plastic to make them robust and long-lasting. You will like that they do not have weak points and being flexible means you can carry them in your purse, backpack, or pouch. The ear cups have a soft material that will help them sit comfortably around your ears. Coupled with the small weight of this headset, it’s without a doubt, you will be using Avantree for a decent time. Whether you want to keep out the noise or you pick calls and need a good microphone in headphones, Avantree will keep your hand away from your phone and your focus on clients. It may be overrated on noise canceling, but it is well-rounded regarding sound quality when the volume is up or down. Why we like it: They steal the spotlight for being the most sought noise canceling headphones for iPhones, iPads, and iPods. They have a new look that is stylish and accommodating to the modern generation. Bose invented noise-canceling technology, and the brand makes it known they rule this side of the world. Except for the wired design, Bose QuietComfort 25 would have been the perfect pick for everyone looking to own quality headphones with ANC. This model allows you to turn on and off noise isolation without affecting the sound quality. They have a switch on the right cup that is so obvious you will never miss its position. Not to mention, they use an AAA battery that will keep the ANC juiced up for 35 hours. Since you can use the headphones without ANC, you can stretch the battery to last longer when you need to use them for like an extended flight. You will like that the ear cups engulf the ears such that you will still reduce most of the noise from reaching your ears. These headphones follow a sleek design that sits closer to the ears unlike the QuietComfort 15. They have soft leather and cotton cushions that are breathable and comfortable for wearing for extended periods. They will not get damp and warm making them ideal for long hours use. The pivot in these headphones has a construction from zinc which adds a touch of durability. They also have a thicker cable that increases its life so that it will be less susceptible to breaking if it tangles. Bose QC25 is an ideal pick for the commute as well as on the streets and sitting on long flights. With all the performance features they showcase, you have every reason to listen with them. After all, they are the top-ranking headphones for the money. Why we like it: These headphones are equal competitors with the best noise canceling brands but cost a little less. 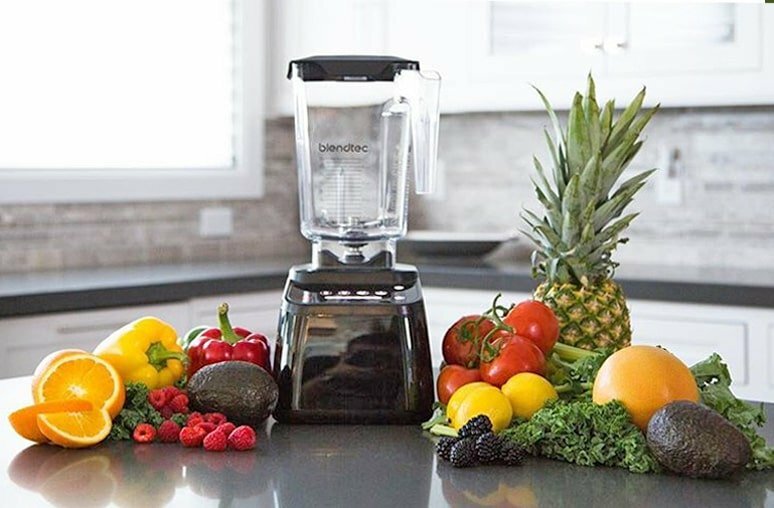 They have a reliable battery life to give you long hours of wireless connectivity with active noise reduction. Sennheiser HD 4.50 is designed for professionals like business travelers. They push the limits of noise canceling technology by blocking 90% of the noise that comes into your ears. You will find them useful if you work in a noisy environment and need to keep up with the tasks at hand. Project managers can attest to the help they get with these headphones. Not only sound reduction, but Sennheiser HD 4.50 also achieve a brilliant sound as they connect via Bluetooth 4.0 which is compatible with the aptX codec. They give great sound over Bluetooth meaning you won’t be dealing with any of the hiccups and constant re-pairing with devices. This headset is also NFC-enabled to allow fast connections with compatible devices. The bass on these headphones is not only powerful, but it also has a vibrant feel that complements the natural and warm midranges. You may notice that they do not have enough spark in the highs, but they work perfectly with classic, Blues, RnB, Hip Hop and a whole lot of other music genres. To achieve the low price, Sennheiser has beaten some paths that include an all plastic construction. The ear cups use memory foam and synthetic leather to cover them so that they feel comfortable around the ears. They have ear-mounted controls where you can change the track, receive phone calls, and adjust the volume with no hassle. These headphones will fold up for simple storage in the canvas case. You may want to store them separately from other luggage or use a hard case to keep them safe from breakage in transit. 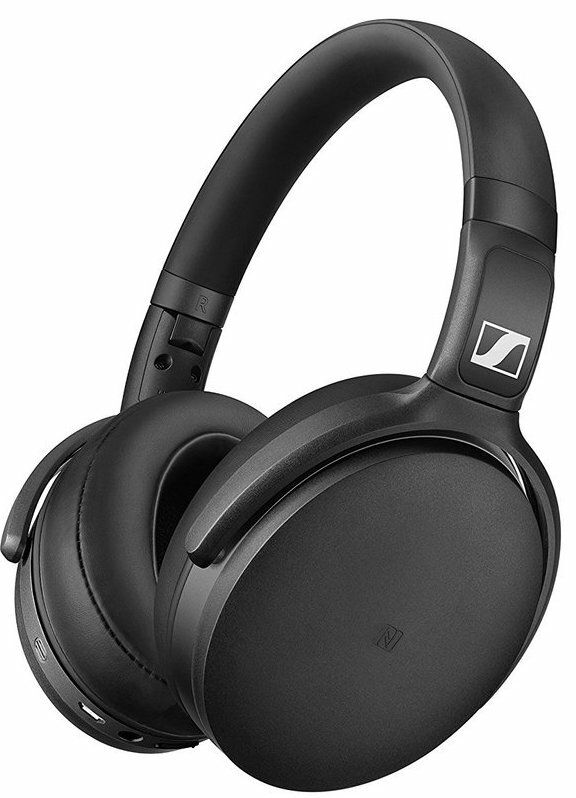 Sennheiser HD 4.50 is the real deal in effective noise canceling. They may not have a premium design, but if all you need is blocking out the world, you will get it right with this model. Why we like it: These headphones have reliable wireless connectivity that does not fall out of range at any time during use. The sound quality is impressive to every audiophile who can’t compromise on quality. If you are always worried about spotty Bluetooth when using headphones, you can rest easy with the V-MODA Crossfade model. These headphones give you a 33ft range to pair with two devices. They give the flexibility for switching between devices. This pair uses sound isolation technology to block out the noise by using memory foam cushions to block the noise physically. The earphones have a focus on phone calls as they block out most of the ambient noise so that you can be heard when you are on a call. The built-in microphones are optimized for making your phone calls crisp clear. V-MODA Crossfade is quite exciting when you listen to their sound signature. They have an expansive but balanced bass that some of us can easily find to be too much. But the highs are clear, and the mids are strong to give you powerful sound that is admirable by even the most extreme audiophile. We feel like these headphones have been overdone a little bit owing to the angular design that leaves a grand gesture. The ear cups are small and cushioned, and you will even find them comfortable but not for hours of listening. This is because they are a little on the heavier side. They also restrict use in ways that could cause them to fall off your head like the treadmill or running outdoors. But they bring with them an amazing quality that stands out from the rest of the headphones in this price range. 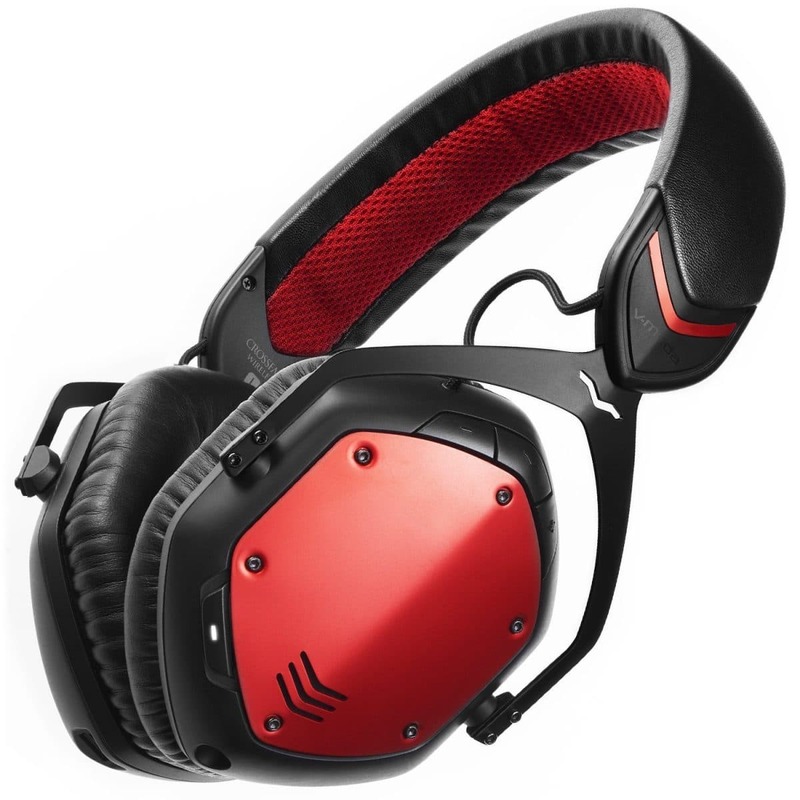 We like V-MODA Crossfade mostly because they are not trying too hard to impress. They have passive noise isolation that will ensure that you are aware of your surroundings. You will be able to take walks around your neighborhood and say hi to your friends without taking the headphones off. The good thing is that sound is not heard from the outside for anyone else to listen to. 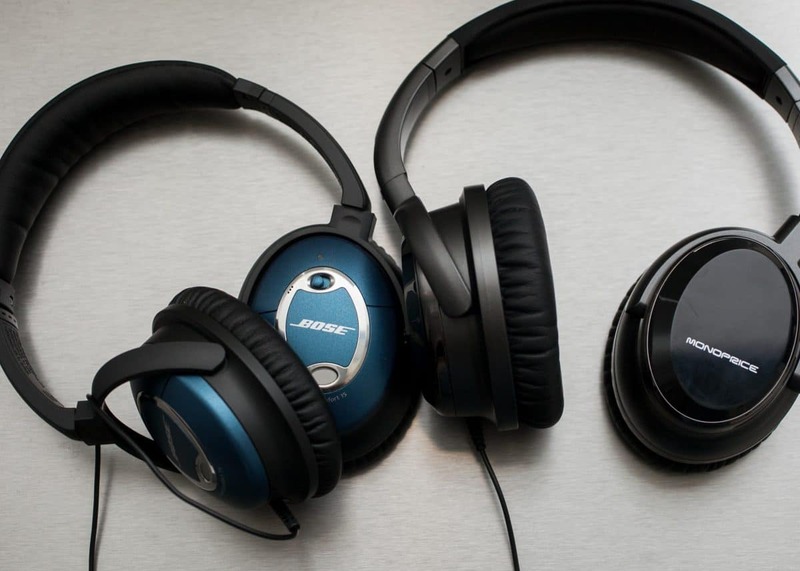 Why we like it: They have long battery life when compared to other noise canceling headphones. The Bluetooth range is 330ft which puts them on the list of the most reliable long-range Bluetooth headphones. If you find Bose headphones boring, upgrade to the fancy Plantronics BlackBeat Pro 2. They are all about immersive sound while keeping your eyes interested in keeping them for a while. Their sound canceling is active which means they can block up to 70% of distracting noises. Notice we did not say 90% because they are applicable in areas where the sound is controlled like a classroom or office. If you wish to use them for commute or travel, you might want to stick to Bose and the like. They do little to drown city noises so don’t expect to ride the bus and be completely drawn to a podcast. Their sound quality is also not at par with the best of the best. But you can expect natural warm sound. 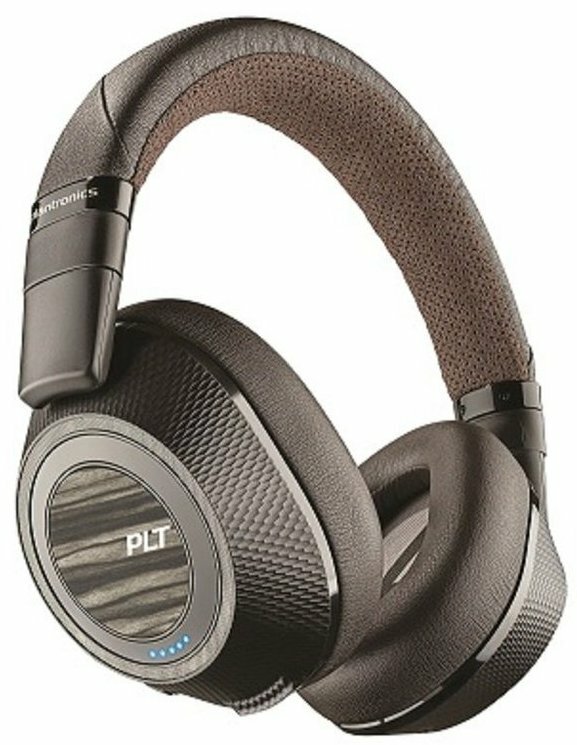 Plantronics has employed mesh ear cups with faux leather. They have a closed back to prevent sound from traveling out. This means you can sit close to someone and they will not be listening in on your movie. All the operations are on the left ear. The noise canceling toggle, volume, and playback are all easy to change and manage since you will know which of the ear cups is for the left ear. You will find the button for picking calls as well as the power slider on the right ear. Plantronics BlackBeat PRO 2 showcases outstanding design and performance that indicates that these headphones are garnering for a spot among the best. We are happy about the sound but not so much about the noise canceling. They are not for a lot of places which is one of the reasons they do not get a top rating on our list. Why we like it: These headphones distinguish themselves from the rest by being compact while competing effectively with models like the Bose QC35. AKG N60 headphones are ultralight light to afford flexible portability. You will only remember to use them but not carrying them as they will take very little space. They give you high-performance noise canceling and 30 hours of battery life so you can carry your music with you all day long. These headphones provide the convenience of having good sound on the go. Whether you want to binge on Netflix on a long train ride or play a game at the park using your laptop, this pair does not disappoint. It comes with midbass with smooth treble allowing the vocals to be heard in all their glory. These headphones connect using a 3.5mm jack that is 51 inches long. This allows you to maintain a stable connection while using the headphones with lots of devices. They charge using a USB cable making it easy to take a power bank with you to keep them running at all times. 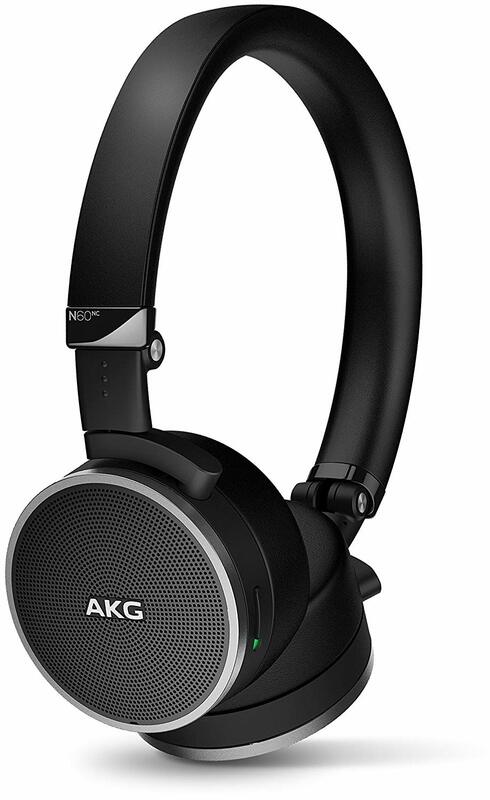 AKG N60 uses premium materials that include aluminum and plastic frame, memory foam, and leather. The ear cups are comfy and breathable such that you can seat in the sun and not be bothered by breaking sweat. You will fall for the folding design since the headphones can fold flat and you carry them in the small storage case that can sit perfectly with your luggage. It is a neoprene carrying case that will give your headset a safe space. If you are looking for the lighter and more compact version of Bose headphones, AKG hits the nail right on the head. They are up to the task of active noise canceling with a portable design that you will not mind carrying and using for long journeys and working hours. There are times we want to enjoy the sound that resonates with the world around us. But at other times, we want some peace to ourselves away from all the buzz when you are living the modern life. That’s where noise canceling headphones come in. They tune out the noise we don’t want to hear so that we can concentrate on the sound that we love or allow you to work or sleep in a noisy environment. This is the most obvious and is also the most critical function of these headphones. If you are traveling in an airliner, you may want to catch some sleep, but it may never come with the constant humming of the engine. Although there are limitations, you will be glad they can drown out most sounds. Headphones have been associated with causing hearing loss if you listen at high volumes for a long time. Noise canceling technology prevents the element of competing with noise by raising the volume too high such that you can listen to audios at low and proper volume. Because noise will not be interfering with the sound reproduction, noise canceling headphones tend to provide rich and fuller sound that is more satisfying. You will be more than happy if you like good audio and instrumentals playing in your ears. This also means you can use them to watch movies and play games without compromising on the quality of sound. More pros of noise canceling headphones here. Apart from noise canceling technology, you will need to look at the core technology behind the headphones which is the drivers. They are responsible for converting electric signals into audible sound. The technology behind the drivers dictates the kind of sound you will get from any particular headphones. While the size tells you how big sound can get. In headphones, you are looking at 20-50mm drivers so you can be able to relate the size of the drivers to the sound you will get. Also known as moving coil drivers, these are the cheapest and also the most commonly used in cheap headphones. They create sound through magnetism and electromagnetism to produce movement. They consist of a neodymium magnet, voice coil, and a diaphragm. The resulting sound is filled with bass with a natural mids and highs. These are used in open back headphones and are also called orthodynamic drivers by Yamaha. They also create sound like in dynamic drivers, but they are super thin therefore commonly used in upscale headphones.Since they are thin, they have to use more magnets which increases the weight of the headphones. They can replace huge amounts of air which results in an excellent bass and low distortion of the highs at full volume. This is another of headphone jargon that you need to wrap your head around. Your headphones can achieve a set of sonic frequencies from 20-20,000Hz. To get deep and rich bass, headphones strive to remain in this range while stretching towards the ends of these ranges to give more immersive sound. Headphones are designed to be used with devices like smartphones, laptops, TVs, and other devices that do not amplify the sound the great levels. As such, the impedance denotes the power they need to run without blowing out. A high impedance indicates you can use them with dedicated amplifiers s they can handle the power driven through their circuitry. This means you will not want to try out low-impedance headphones with heavy-duty woofers as it is just a remedy for blowing up. Getting an excellent pair of Noise Cancelling Headphones is not easy peasy. It comes down to your preferences as qualities in different models can be as different as night and day. 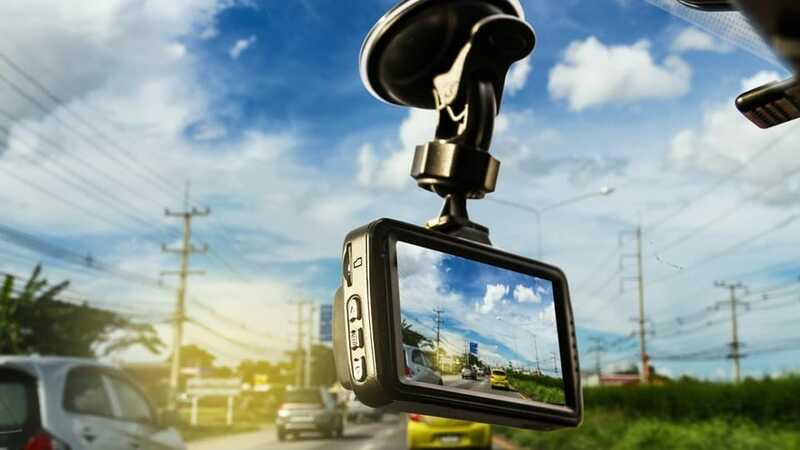 We have gone through the models we feel deserve to be on the top list of the Best as they explore modern technologies without driving the prices to the extreme.